No more searching for chords or scales! With Piano Chord Charts you have all the Chords you need to play your favourite tunes in all styles at a glance! Learn Chords and Scales without reading Sheet Music! Download the ebook and start playing instantly! This is a digital download. The ebook will be available for instant download after the purchase. You will need a free PDF reader such as the Adobe Acrobat Reader to open the .pdf files. 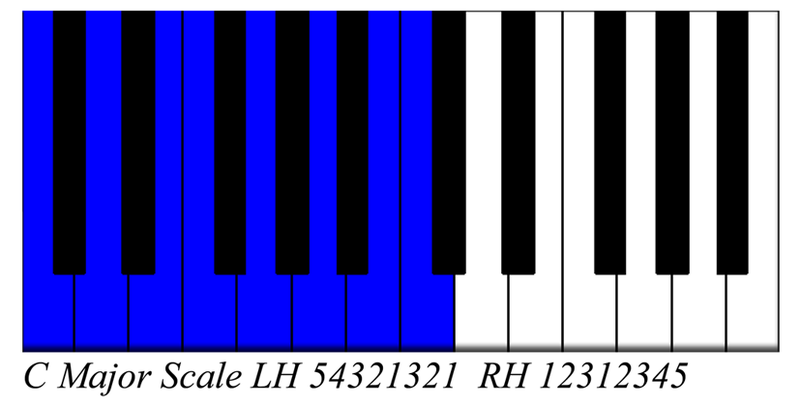 Most western music is based on chords and chord progressions. Whether you prefer playing blues, rock, pop, jazz, funk or soul – all these musical styles use chords as their basic building blocks. 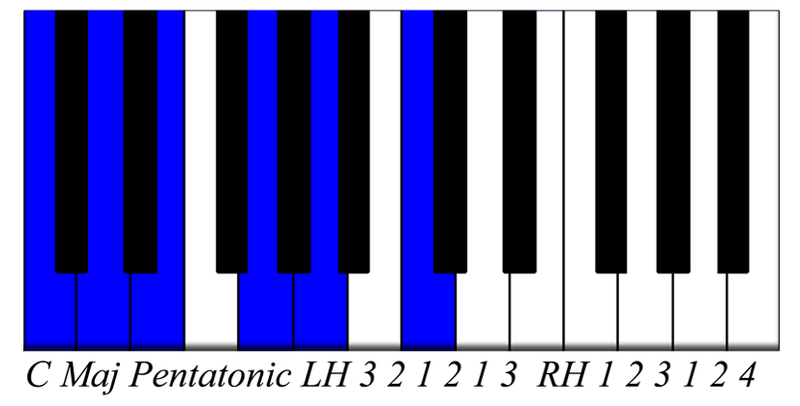 Even classical music is often built around chordal structures and harmonics. 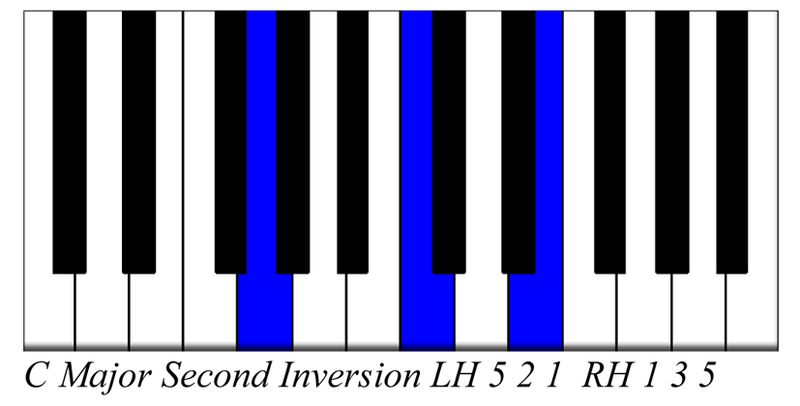 While chords are constructed following certain harmonic rules and using different musical intervals, it can be time-consuming to figure out the correct voicing of each chord using these instructions. 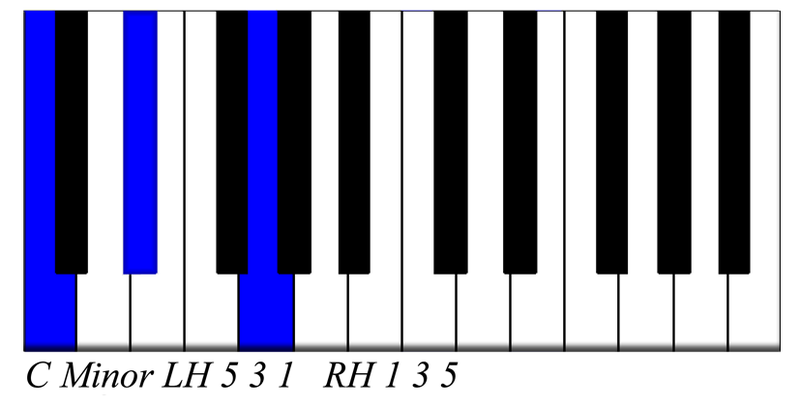 Having chord charts for the piano help with the visualisation and memorization of the chords you’ll need to play your favourite music. It is much more fun to learn the theory of chord construction whilst playing the chords, rather than having to do all the theoretical work first. 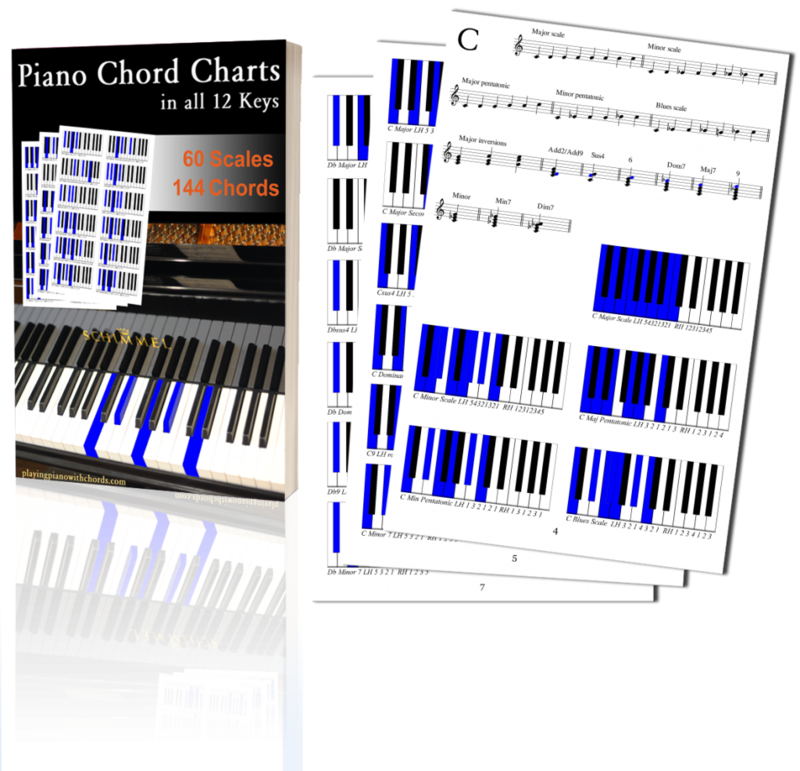 Piano Chord Charts will give you both: visual charts to apply and memorize as well as a list of all the musical intervals that make up the different chords. That way you have everything at a glance and can concentrate on what you love doing most: playing the music you like!